Jeff Shapiro is a professional climber and pilot who has devoted his life to the mountains. Whether climbing rock, ice, or flying, he always strives for “full value adventure”. Over the 30 years of his climbing related life, he finds the greatest reward in attempting new routes in the greater ranges. A new route on the NW face of Mt Grosvenor in the Daxue Shan range of western China and, the first ascent of the south face of Brammah II in the Kashmir Himalaya are two recent highlights. Jeff is a hang glider pilot, wing suit BASE jumper, paraglider pilot and a father. 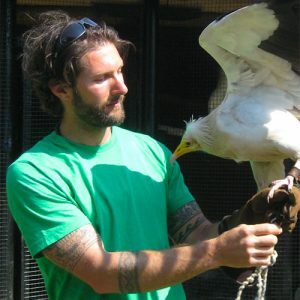 When he’s not climbing or flying, he’s a philanthropist, conservationist and a falconer. Jeff currently lives and trains in Montana with his 14 year old daughter and his wife of 23 years whom he recognizes as “the most tolerant woman in the universe”. His favorite food group, by far….is sweet chili sauce. Skills – Pilot Certification, Vol-Biv, Cross Country, Tandem Instruction, Presentations, Clinics, Tour Guiding, Repairs, towing, XC Instructor, Reserve Repacks, Falconer.